A Sunrise Accident Attorney like Robert E. Gluck has outstanding professional qualifications and a long list of impressive credentials. If you were involved in an accident it is important to contact an accident attorney. The sooner you hire an attorney the better chance for a good outcome. Robert E. Gluck will have to prove negligence and once he does, the guilty party will be held responsible for all of your medical bills. Robert E. Gluck will serve as a powerful voice for you from the beginning until the end. Your Sunrise Accident Attorney Robert E. Gluck will gather all the evidence that he can find to prove negligence. Negligence is when a certain level of reasonable care is not followed by an individual and it results in an accident. Robert E. Gluck understands the accident law better than most and he has years of experience with it. He first became an attorney in 1989, and has since then served injured clients with exceptional legal guidance and representation. Call Robert E. Gluck today to be closer to attaining outstanding representation. Hiring the right Sunrise Accident Attorney can either help you win your case or lose it. It is very important to hire the right attorney and doing so will greatly increase your chances of success. Studies show when an injured person has legal representation there is a greater chance of receiving a settlement. Robert E. Gluck will protect your legal rights, fight hard for you, and serve as a powerful voice on your behalf. With him at your side every step of the way you will have the confidence you need to overcome this stressful time in your life. Your Sunrise Accident Attorney, Robert E. Gluck will find witnesses and get their witness statements, he will secure video footage and take photographs of the accident scene. He will also look for property damage. Robert E. Gluck will gather all the evidence he finds and build you a case so strong it will hopefully yield a positive outcome. You can count on Robert E. Gluck for high quality professional legal services in Sunrise. 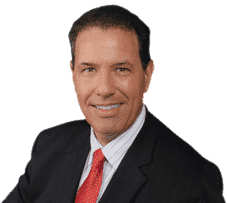 Robert E. Gluck has a genuine interest in his clients, and he works very hard to protect their rights and make sure they are treated with respect. Robert E. Gluck will personally greet you at his office when you meet with him for your appointment. You will not be disappointed when you hire Robert E. Gluck as your accident attorney.